The global emergence and spread of the pathogenic, virulent, and highly transmissible fungus Batrachochytrium dendrobatidis, resulting in the disease chytridiomycosis, has caused the decline or extinction of up to about 200 species of frogs. Key postulates for this theory have been completely or partially fulfilled. 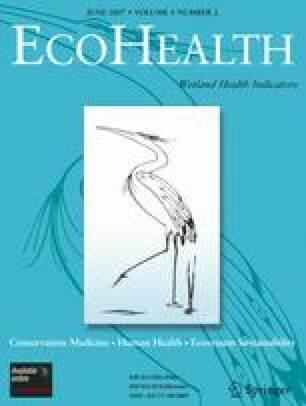 In the absence of supportive evidence for alternative theories despite decades of research, it is important for the scientific community and conservation agencies to recognize and manage the threat of chytridiomycosis to remaining species of frogs, especially those that are naive to the pathogen. The impact of chytridiomycosis on frogs is the most spectacular loss of vertebrate biodiversity due to disease in recorded history. We thank R.A. Alford, R. Puschendorf, E. Molina, V. Hemingway, R. Campbell, L. Owens, Kris Murray, Jodi Rowley, Jamie Voyles, two anonymous referees, and the specialist editor for critical review of the paper. The financial support from the Australian Government Department of the Environment and Heritage, the Australian Research Council, and James Cook University made this review possible.